The monsoon has set in over Delhi on 28th.June, a day ahead of the normal date.In fact now the monsoon has covered all parts of the country except Rajasthan.This means, the monsoon has reached most of the North India on the normal date,in spite of the delay in the Central parts.In the exterme west,the monsoon has rolled into South Pakistan too, and the Western Himalayas in the extreme North it is ahead of schedule. After the passing of 03B, 04B is now taking charge.At present,on Friday morning, it is a deep depression, about to gain cyclone strengh (no name),and cross the Orissa coast by Friday noon.Its track north west will pour torrential rains in Central India,and in Maharastra. I feel,by the time it reaches Gujarat, it will have weakened,and just be a normal low,and dry out in the Thar desert (may not give rains in Sindh).The JTWC has issued a tropical cyclone warning for Orissa coast. The coast of Maharastra,and interior Maharashtra,can get heavy rain Friday through Sunday. 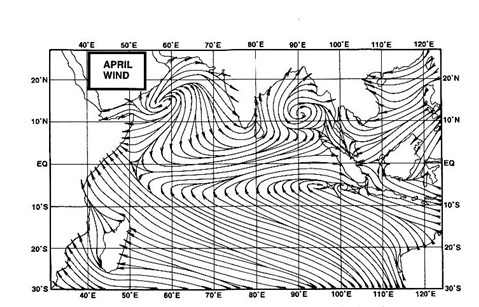 A W.D.is approaching North India on the 30th.The possible effect of the two systems(W.D. & 04B) could be that large parts of North India, and at the same time, all of Central India,could come under a very wet spell.So, in the interaction of these two systems, all parts of Orissa,.A.P.Chattisgarh,Maharashtra,Gujarat,Goa and the North West of India can experience a wet spell in the next 2/3 days. Rains will be heavy in Mumbai during the weekend.In the South,the rains may continue to be sparse. The ECMRWF and a few other model predictions have forecasted, the remnants of 04B could form another low in the bay,around 3rd.July.If true, this would mean a continuous wet spell for central and North India at least till 10th. July.